In recent years it has been interesting to see how the word “gluten” has gained such a huge level of public awareness. As an example, there is a standardized word recognition test we use that includes the word “glutton.” Ten years ago it would have been unheard of to have a child read that word as “gluten,” but today the majority actually do. It’s almost humorous to think that many of these same children have a gluttonous appetite for gluten. There is some confusion as to what “gluten” is. Many people use the words “wheat” and “gluten” pretty interchangeably, so there needs to be some clarification. First of all, all wheat contains gluten, but gluten is found in other grains as well, including rye and barley. But the vast majority of gluten we consume is from wheat and products containing wheat. So, what is the big deal? Humans have been eating grains for over 100,000 years. How could wheat and other gluten-containing grains be bad for us? And aren’t they on the food pyramid? Science does have a way of catching up, and truth be known, there are a whole lot of things we have been doing for a whole lot of years that are not good for us. There are many issues with gluten. Some of the problems caused by gluten include digestive issues, such as constipation, diarrhea, gas and bloating; as well as fatigue, brain fog, depression, and just feeling tired. If we add to this list additional common symptoms of wheat allergy, such as nausea and vomiting, hives and rashes, nasal congestion, eye irritation, and difficulty with breathing, we are starting to build a pretty good case for avoiding wheat and foods containing gluten. The case builds. Let’s talk about celiac disease, an autoimmune disorder that affects about one in a hundred individuals. In celiac disease gluten produces an immune response that attacks the small intestine and adversely affects nutrient absorption. If unaddressed celiac disease can lead to very serious health problems, such as Type I diabetes, multiple sclerosis, osteoporosis, infertility and miscarriage, short stature, intestinal cancers, and neurological conditions like seizures and migraines—serious stuff! As a group I have notice that many of the children with Down syndrome who have gluten in their diets tend to have more issues with constipation and other digestive issues, congestion, low energy, and weight problems. Sadly, many parents just perceive their child as being “low energy” kids, when what they are seeing is just a reflection of their diets. Many kids on the autism spectrum and those labeled with ADHD tend to exhibit a wide range of issues that appear to at least partially originate with gluten-related gut issues which increase their stimming, DSAs, hyperactivity, distractibility, and even aggression. I work with one teenage boy on the spectrum who generally functions very well with his academics, processing skills, and behavior who craves wheat to such an extent that he searches the cars of workers on his family farm, looking for crumbs; and if he finds even a crumb, he crashes for up to two weeks. (“Crashes” as in becomes almost non-verbal and wants to stim 24/7.) If so little can produce such a neurological crash, it makes you wonder if even a little gluten could be harmful. I mention these kids as examples of specific responses with specific kids. I caution families all the time that the example of one can be a disaster for the many who jump on a bandwagon because one parent, or even a few, provided anecdotal reports of apparent cause and effect with a specific “treatment.” But collecting clinical data from many hundreds, if not thousands, of individuals and evaluating that against the research is what science is all about. A very noteworthy additional piece to this puzzle is that many children crave wheat and/or gluten to such an extent that it has a very significant negative impact on their diets and nutrition. 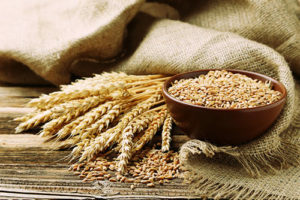 In all my years of seeing kids, without a doubt the number one food I see children crave is wheat and crave it to such an extent that it’s difficult for many of the parents to get the child to eat a variety of healthy foods. A child who is permitted to fill up on bread isn’t going to be highly motivated to try spinach. Often, the only solution is totally eliminating wheat/gluten from their diets, at least temporarily, before we can get the children to significantly expand their palates and their diets. Are processed gluten-free alternative foods healthy? What they add to these “Frankenfoods” to make them taste good is probably not “healthy.” Check out the labels and see all the stuff they added to make the food taste good, not to mention all the added sugar. Would you believe that there are over 60 different names for sugar used on your food labels? Bottom line: It appears that for many, if not most, of our children foods containing gluten or even “gluten free” foods are not a great choice. If you choose to keep these foods in their diets, please keep your parental antenna up and be mindful of all of the possible associated issues. It should also be mentioned that the foundation that you are working from in helping your children develop is their health. The physiology affects the neurology, and the more issues your child has, the more important it is for them to have the best diet that you can possibly provide for them. A vitamin pill isn’t going to compensate for a lousy diet. If you choose to have a poor diet yourself, so be it; but you, not your children, are responsible for their diets. Natalie Kling is a Certified Clinical Nutritionist and she talks about an important subject—gluten. Natalie is one of our valued NACD nutritional advisors and consultants. This entry was posted in Health & Healthcare and tagged celiac disease, child development, food, gluten, kids, nutrition, parenting on February 19, 2018 by Bob Doman. It’s Autism Awareness Month, so let’s talk about ASD (Autism Spectrum Disorder) and awareness. They say you are what you eat. They should also say you are what you attend to and can process. What you perceive, the quality of what goes into your brain through your sensory channels, what you pay attention to and how much of it you can process essentially determines what and how much you learn. In turn, it determines how you can think, what you know, how you develop and ultimately your quality of life. One way to gauge the level or degree of involvement of those on the autism spectrum is to look at what they give their attention to, their overall level of awareness and the degree to which they are present and engaged. As we look at individuals with sensory issues, which is generally how we refer to those on the spectrum internally at NACD, we start with observation and understanding that individual for the purpose of providing strategies to improve specific and global function. We can observe virtually any child, watch what they are paying attention to and see how much they are attending to what is happening around them. This gives us a fair sense of what and how much they are learning and developing and what issues need to be addressed. Everyone essentially attends to what is meaningful to us and ignores what isn’t. We can observe any number of children who are on the autism spectrum or who have developmental delays, look at their behavior and develop insight as to their needs. For example, if there is a child staring at a ceiling fan rotating over and over, or a child who is in the corner waving their hands in front of their face and making repetitious sounds, or a child sitting quietly sucking on and smelling their fingers, or a child who is pacing around the room, relatively oblivious to anyone or anything going on in the room, then we know we have children who are essentially not present, not learning and not developing. We could also observe other children who are trying to get our attention, or are going around the room investigating and getting into things, looking at this and that, touching or banging things, knocking things over—children who are much more present and are learning and developing at a much higher rate. The varying degrees of a child’s involvement and of being present is essentially a representation of their level of severity and where they are on the spectrum. The first group of children are not only not learning, they are engaging in behaviors that are making them more and more isolated, further delaying the normal development of their sensory channels and teaching their brains to ignore more and more of what is in their world. For their brains, the meaningless is meaningful and significant to their brains, while what should be meaningful is essentially meaningless. The exploring child is looking for meaning, for significance and that child’s brain will continue to do this with every new opportunity. The degree to which any child is inquisitive, attending to the right things (be it making eye contact because they know there is something to learn from observing your face and listening to your words, or looking at the people and things in their environment and interacting with that environment), the more present they are, the better and higher their level of function, the more and faster they are learning and developing. Neuroplasticity, that thing which permits the brain to change and develop, occurs through input. It does not simply develop because we are getting older. The quality and quantity of the input the child’s brain receives determines not only how rapidly the child develops, but also how they develop. Good input generates good change and development, while bad input produces negative changes to the brain and impairs development. Awareness, being present, is that which determines the direction and rate of development. For any child with a developmental delay, normalizing sensory function, redirecting them when they are “stimming” or engaging in DSAs (Debilitating Sensory Addictions or sensory addictive behaviors) and providing them with as much specific, appropriate, targeted input as possible is the formula that can produce the desired results and foster development. Positive neuroplasticity occurs when we provide the child with specific, targeted input that is delivered with sufficient frequency, intensity and duration. 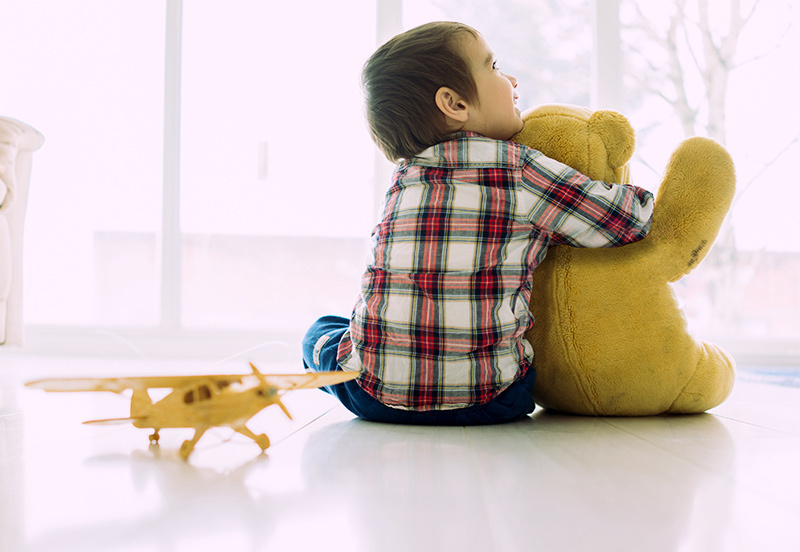 For those children on the lower end of the spectrum, intensive neurodevelopmental intervention is needed to help bring their developmental pieces together. For any child with lesser issues or with a developmental delay who cannot process information or coordinate movements well enough to play independently, they are at risk of getting too good at infantile sensory play, getting developmentally stuck and need intervention to rapidly develop their sensory function and processing. Every child needs attention. Every child needs specific appropriate input and opportunities to maximize their potential. As parents, educators and those assuming various roles in helping children become all they can be, we need to perceive every child as having unlimited potential and do all we can do to provide them with opportunities commensurate with that perception. All parents should be aware of what your child is and isn’t attending to. Pay attention to how present they are and be proactive. Bring them into this world or they will go into their own. If they have a problem, don’t perceive it as a disease, let alone an incurable disease, perceive it for what it is—one of many developmental steps that you need to help them achieve on their way to achieving their unique potential. This entry was posted in Child Development, Health & Healthcare, Human Potential and tagged autism, child development, developmental delay, human potential, neuroplasticity, processing, sensory issues, special needs on April 27, 2017 by Bob Doman. Autism Awareness Month – Should we really be using a disease model? I am opposed to labels in general and “autism” is no exception. I am also generally opposed to looking at most developmental issues as diseases and again “autism” is no exception. The label and perception of autism as a disease leads to the perception that there is or that there needs to be a cure, that there is a pharmaceutical cure—a magic pill. I have also believed, having dedicated my life to understanding how to help all people achieve their innate potentials, that our strength as a species lies in our uniqueness as individuals—in our diversity. Every child has developmental needs and the better job we do at addressing those needs, the better job we have done at helping them achieve their unique potential. With those on the spectrum, our job is not to cure, nor to merely teach them skills that we feel are commensurate with the limited potential associated with their “disease”, but to assist in the developmental process. As with all children, we need to assist in developing their sensory function, their processing ability and as much as possible provide an individualized education in a positive, supportive, “typical” environment while simultaneously celebrating their uniqueness and ability to contribute to society. I have been very privileged over the course of five decades of work with Autism Spectrum Disorder (ASD) to have assisted thousands of individuals ascend through levels of the spectrum to become happy, successful “disease-free” members of society. Our job, our role for those on the spectrum and for that matter all children, is to understand and assist them in their ascension to a full and happy life. This entry was posted in Challenging the Status Quo, Health & Healthcare and tagged autism, autism spectrum disorder, child development, development, potential, special needs on April 21, 2017 by Bob Doman. A number of years ago I had a group of about fifteen families who lived in a small town in Canada and would come down to our chapter in Lethbridge. I would see the families every three months, conduct their assessments, and redesign their programs. It was a close-knit group of families who did a great job of supporting each other. A month after one of my trips, a vision therapist moved into their small town, and the word went out that he could find and address a variety visual problems, problems that “affected virtually all aspects of developmental and educational problems.” To make a long story short, virtually every one of the families signed contracts to get “treatment” twice a week from this guy. When I saw the children two months later, every child who had tracking, convergence, or other visual issues was significantly worse, and a number who had not had an issue now did. These families had all gone down the rabbit hole and discovered that they had wasted time and money and, most significantly, harmed their children. This was a problem years ago, but now with the Internet this is a much greater problem than it was then. Pooling ignorance and opening up new rabbit holes just gets easier. I am sorry to hear when we have a new snake oil salesman come to town and parents—anxious for a quick, or quicker, fix and with a fear that they might be missing something that could help their children—line up to jump down the rabbit hole. With the Internet, chat groups, and conferences, these things now spread through various groups like viruses, infecting many and constantly morphing. Unfortunately there are no vaccines for these viruses other than science and education. Many folks have a concept of research that is defined by checking a few boards and seeing how many people are jumping on the train. Parents need to really understand and to really research the science—if there is any. Sadly, as happens, a little bit of pseudo-science leads to a lot of garbage, big business, and a lot of rabbit holes. We at NACD are uniquely positioned to discover what works. We work with the whole child, not seeing them as pieces in isolation, as does most of the world. We are philosophically driven, not methodology-driven or product-driven. We are not out to sell any specific method or a technique, a pill or whatever; we educate parents and professionals and work to advance the science. We are not giving parents generic therapeutic or educational tools. We are constantly investigating, evaluating, and developing new and better ones and learning time and again that specificity, frequency, intensity, and duration and hard work are the keys. We have six decades of experience with tens of thousands of whole children in whole families from around the world approaching the work from the perspective that we are always looking for better tools. We have thousands of tools in our toolbox and do not hesitate to send a family to a specific practitioner if we feel that they have something to offer. The list of treatments, that we refer individual children to is as long as my arm; unfortunately the list of what appear to be inappropriate (for a specific child), harmful, or ineffective treatments (and which often have associated products to purchase) is longer than both my arms and legs put together. With our international network, there isn’t much that we don’t hear about. After all, our families are all free to pursue whatever they want, so we keep hearing about all of the rabbit holes and the occasional valid treatment. We gather tons of data from our children and can generally look at any individual child and group of similar children and watch their progression globally and in specific areas. As we do this we look for outliers, those with bumps up or down in their developmental curves, then look for a cause. We do this constantly with new techniques that we develop, watching to see if we are changing the curve beyond what we would have expected before. We always watch with particular vigilance those children who are receiving some outside treatments or therapies. We then engage in our favorite “free-time” activity, conducting research and reviewing research. Based on our analysis we may see some promise in an approach and await more data. If it seems valid we try incorporating it and gather more data ourselves, refer families out to receive the treatment, and continue to gather more data to either isolate for whom it might be applicable or helpful or determine if it is a valid approach. We certainly don’t have all the answers, nor will we ever, but we feel responsible for the children and families we work with. We have only one goal: to help them get to where they want to go and to get there as quickly as possible, using whatever means available. Our single biggest problem, without a close second or third, is getting enough program accomplished and accomplishing it well. We have to give most families a compromised program because of their lack of time and resources to get their program accomplished. Every one of our evaluators can look back over their years and caseload and see the great successes, be they kids on the spectrum, brain injured, ADHD, typical, or Down syndrome, and we can all tell you why the great successes were there. They did program and they did it well. None of our top kids in any category did anything beyond program or the few specific outside things we might have recommended. 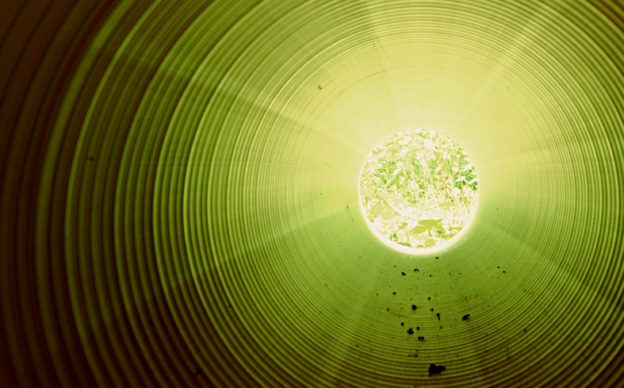 Pretty universally, those finding rabbit hole after rabbit hole to jump down are not the success stories. NO MAGIC PILLS OR MAGIC BULLETS! When I hear of families spending thousands of dollars for something that some parent said worked for their child, all I can do is pull out my hair and scream to the mountains. When I hear how much time and money they spend on “magic pills,” my mind always jumps to how much help they could bring in and really do a great job with their programs for what they are spending on jumping down the rabbit hole. We all have limited time and resources, and not many of us can waste those. Two generations of work have just reinforced that the basis of all neurological growth is neuroplasticity, meaning we change the brain and cause development to occur by supplying the brain with specific targeted input with sufficient frequency, intensity, and duration. It is a proven process, it works, but it necessitates time and work. You can no more produce significant neurodevelopmental change with a magic pill than teach a child algebra overnight with a drug or supplement. We will continue to find better, more specific tools and to create more and more insights. There is a lot to learn and we understand that parents have only so many resources and so much time. We try to help families utilize their limited resources well and productively and we will continue to rely on and develop the science. There are many scientists, professionals and groups that are helping to develop the science and improve the lots of all of our children, but it becomes more and more difficult for parents to sift through all of the chatter. Despite your child’s problems or diagnosis, your child is unique. Your child’s problems, issues and needs are specific to your child not to their label or diagnosis. Every one of the tens of thousands of children we have worked with were unique. Understanding that and seeing every child through fresh eyes has been fundamental to our successes. Please beware and please avoid jumping down rabbit holes that only make your goals tougher to achieve. This entry was posted in Challenging the Status Quo, Child Development, Health & Healthcare and tagged child development, parenting, program, special needs on July 26, 2016 by Bob Doman.